1st to a place downtown that has cute little rolls of fabrics in fat quarter and fat eight sizes. 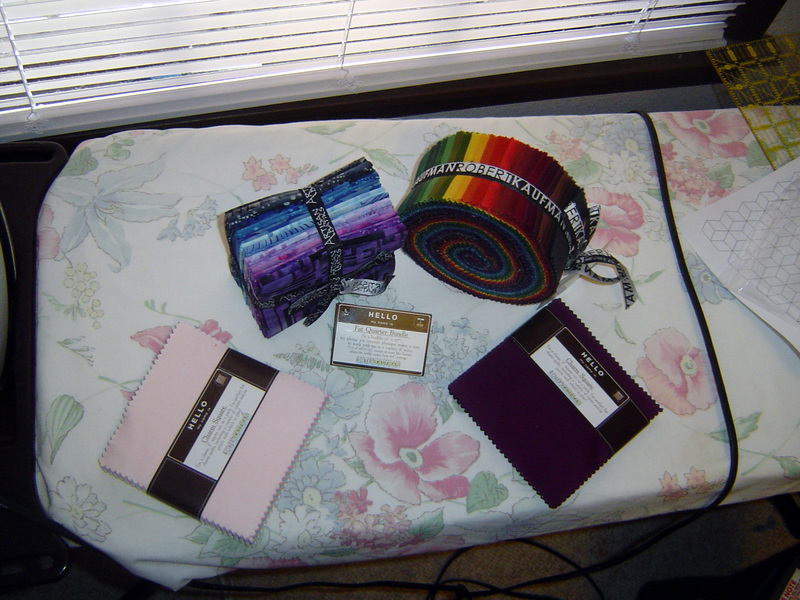 2nd to a place across the street to get some more of the one fabric I wanted to make a purse out of for myself. They didn’t have the fabric (of course), so I had to go for something else (or 5 something elses). 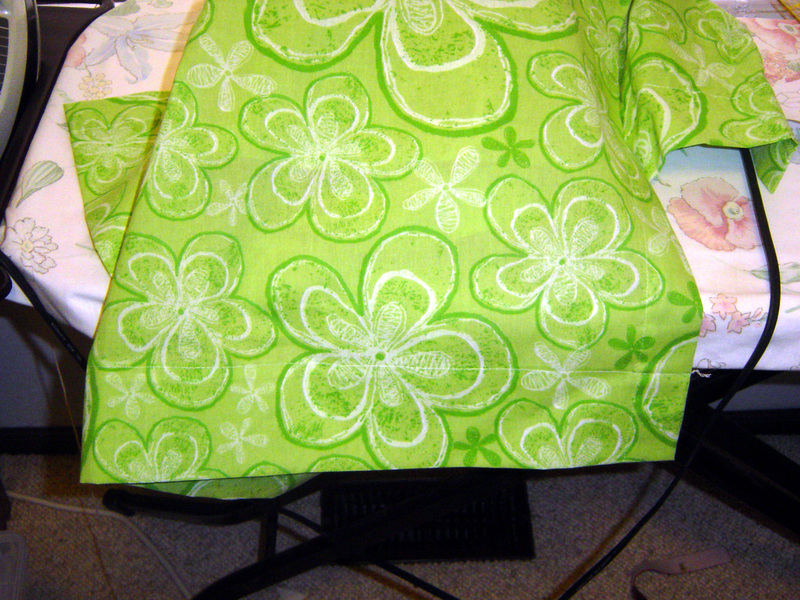 3rd to goodwill where I scored these sheets, fabric I just love! Also scored this handbag, which I will totally steal the front hardware off of. 4th to a chain store to buy batting off the roll. … and that was ALL at the 4th store. 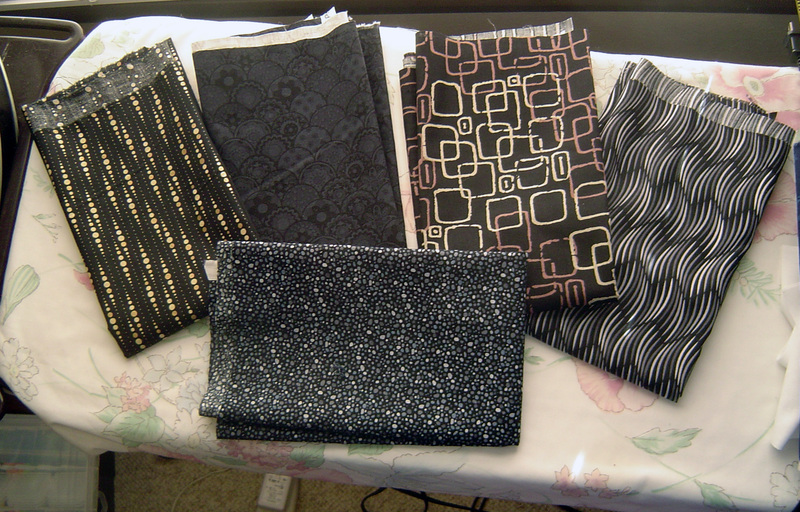 Feeling guilty about all the quilty fabrics when I already have a lot here. 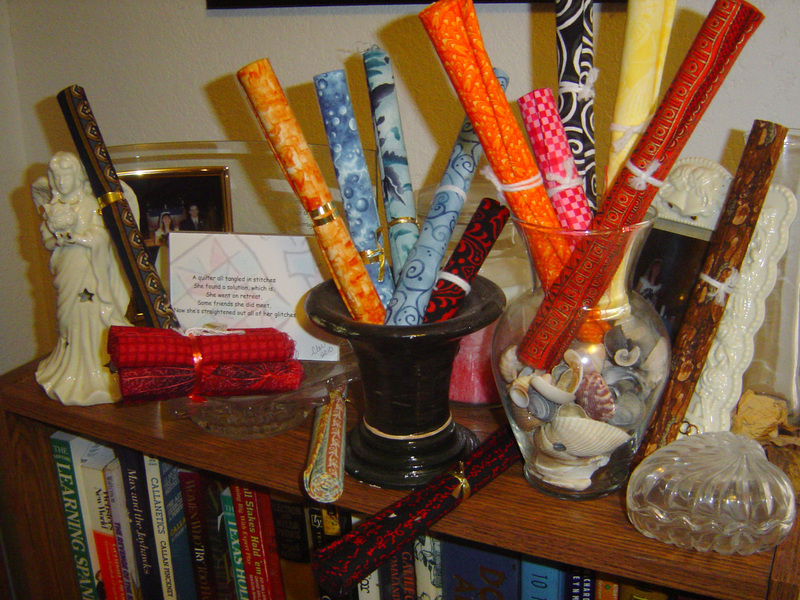 Including what came in the mail the other day from fellow podcaster Jackie at CVQuiltWorks. 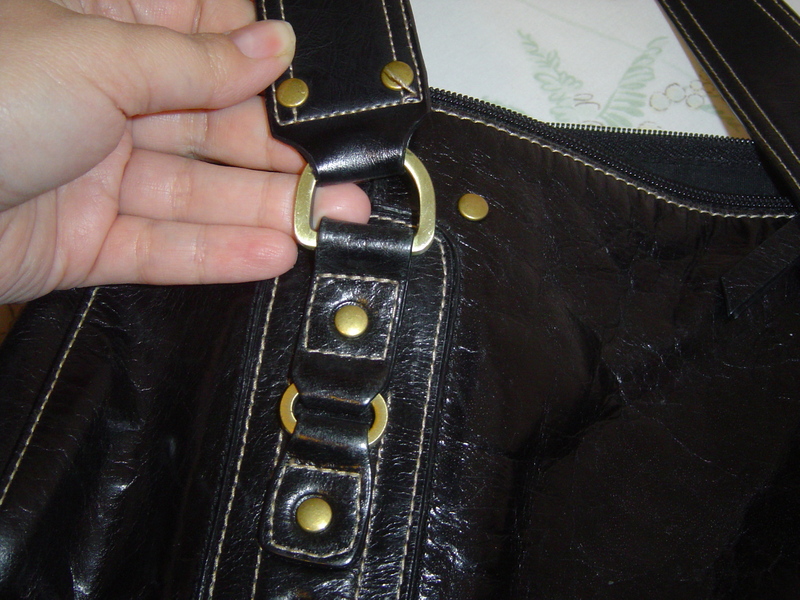 I haven’t used the pinked edges before, I am not sure how to measure the seam allowances accurately. I am sure I’ll figure it out. Maybe I should feel lucky instead of feeling guilty. But I have spent enough on fabric in the last week enough to replace this desk (or replace half this desk) … which is desparately needed because the desk is … oh … about 12 years old and a college student desk.